Her question is: "Why is a lighting plan important in a custom building or remodeling project?" 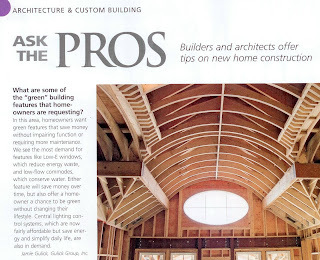 Her answer is: "I cannot imagine starting a building project without a lighting plan. It would be like starting a project without a building plan. We are the ones who can educate and consult with the customer on the latest technology and design. We know what works and what does not work in a room. 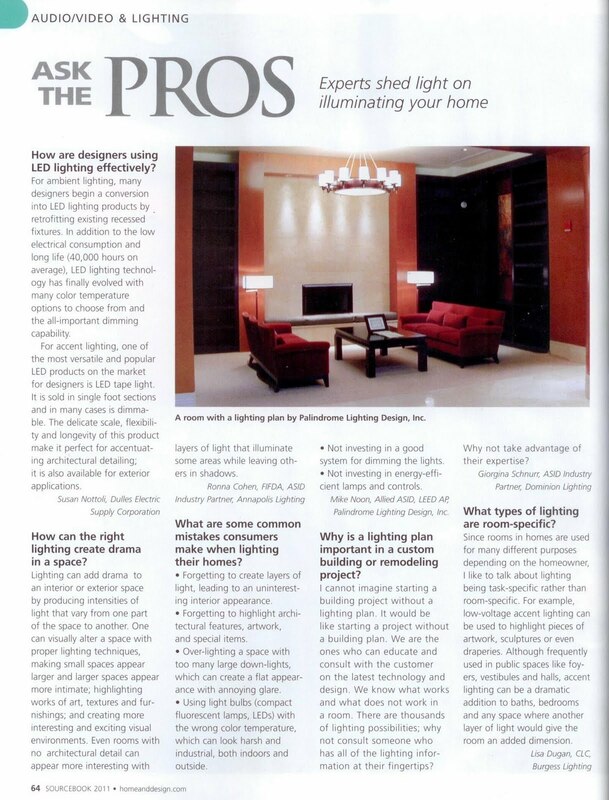 There are thousands of lighting possibilities; why not consult someone who has all of the lighting information at their fingertips? Why not take advantage of their expertise? 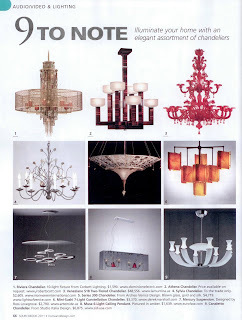 Next, one of our chandeliers is featured on their "9 to Note" page ~ ours is #1 ~ a Riviera chandelier from Corbett Lighting. We just hung this series in at least 2 of our showrooms, and it is absolutely stunning! 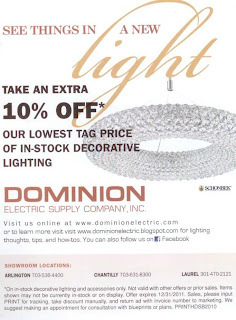 And then of course we have an ad, which you can print from the blog or Facebook and bring on in for 10% off your order of in-stock decorative lighting. 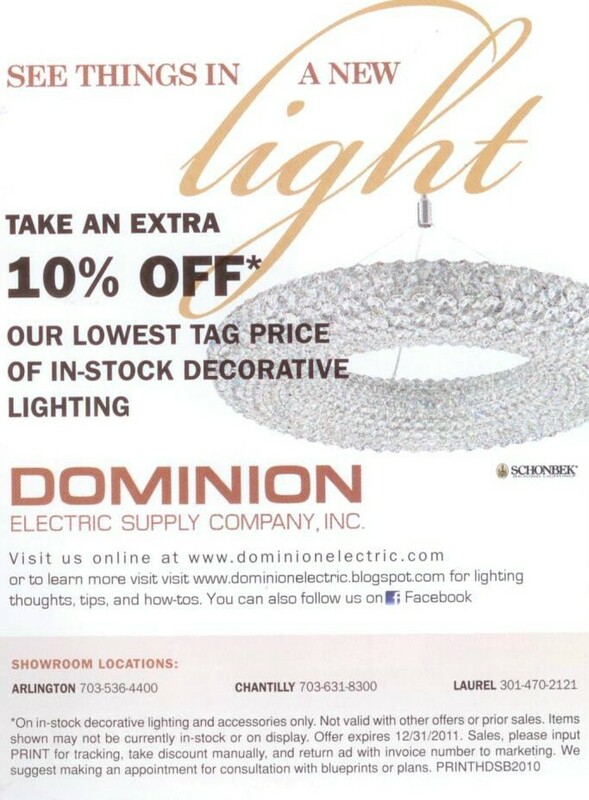 We have showrooms in Arlington & Chantilly, VA + Laurel, MD. 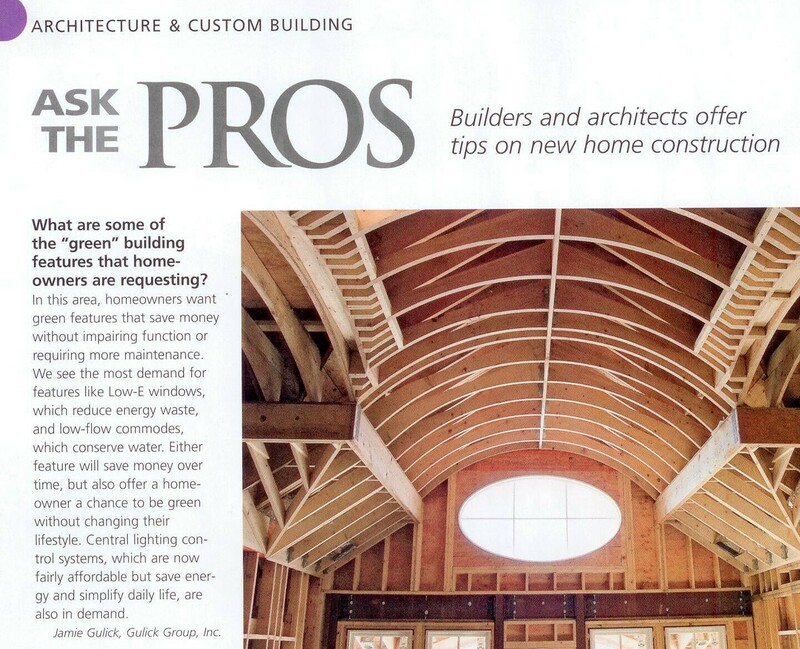 His question is "What are some of the "green" building features that homeowners are requesting?" And part of his answer is "Central lighting control systems, which are now fairly affordable but save energy and simplify daily life, are also in demand." So true, Jamie! And he speaks from experience, because we just installed a Lutron RadioRA2 dimming system in Gulick's model at Brambleton!